What would Red Sox fans do with Powerball winnings? The writers here at RedSoxLife were sitting around the coffee machine today talking about the Powerball jackpot, as most of America has been doing all this week at work. We are no different and with the jackpot at somewhere north of $1.5 billion dollars it is getting into the range where one could maybe buy our favorite baseball team. This got me to thinking. 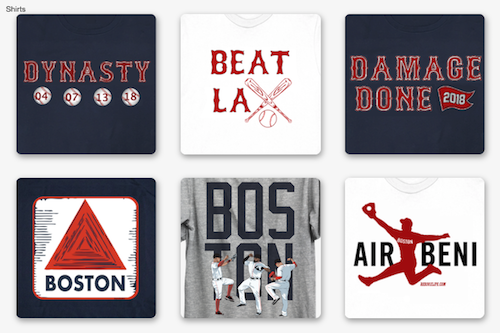 What could a serious fan do with $1.5 billion dollars as it relates to the Red Sox? To be fair, the winner who takes the cash lump sum would only get around $930 million according to ABC News. Forget about buying the Red Sox with your winnings, while Forbes put a $1.5 billion dollar value on the Red Sox in early 2014, in 2015 they valued the Red Sox at $2.1 billion dollars. In six states you can't even play Powerball; Utah, Nevada, Mississippi, Hawaii, Alaska and Alabama. In a fun look at the odds of winning tonight, MLB shows that the odds of Bartolo Colon hitting an in-the-park home run are 1 in 39,622 and the odds of you winning the lottery are 1 in 292,000,000. All that is fine and dandy for the writing staff here at RedSoxLife, nothing would deter us form expounding on the plans we had for our 'winnings' as they related to the Red Sox. Here are a few of the better ones that came up, in no particular order. "First, I would buy a house in Boston near Fenway and move there. I would become a member of the ownership group, to have an owner with the fan point of view. Obviously this would include first row season tickets, I wouldn't like a luxury suit. My first task would be to convince John Henry to spend our money in a true number 2 starter. Then, find a team that wants Hanley and I'd eat at least a third of his remaining salary. I would also take out to dinner one player per night and discuss how they feel about how's the season is going, the chemistry the team has, etc. Finally, I would reduce ticket and beer prices." "I'd spend the money on season tickets to the green monster, then I'd buy the game used memorabilia store across the street from Fenway. I'd then call up the ownership and buy one year Chris Davis at first and Clayton Kershaw and Jake Arrieta. 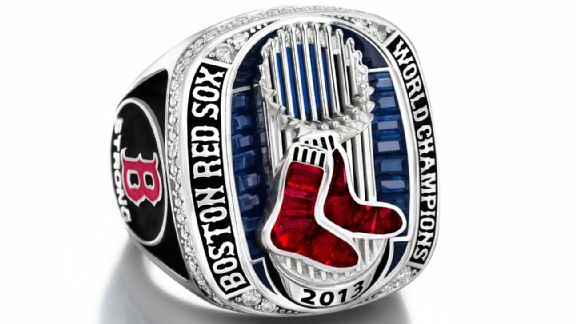 I will BUY a Red Sox championship in 2016.... And they will give me a diamond studded ring for my efforts." "After first introducing myself to John Henry as one of his new partners in the ownership group, and making sure I had my own Fenway Park office and luxury box, I would buy out the remainder of Hanley Ramirez's contract. I would also like to take occasional batting practice. That's all within reason, right?" "The only thing to do with the money would be to buy the Yankees and drive that franchise into the ground. Am I right? :)" -- sorry Ben, the Yankees are valued by Forbes at $3.2 billion dollars. "I would contact the Red Sox ticket office and purchase a pair of tickets to each game next season and for the following season, where I would sit in a different section each game. After determining what section I believe to be the best to watch the game I would purchase season tickets for that entire section for the rest of my life and be the only person to sit in that section. I would also use my winnings to find a way to get onto the field and play a game with close friends and family." "If I won Powerball, the first thing I would do is buy Red Sox season tickets for life (preferably next to the Red Sox dugout). I would also buy a second set of season tickets and give the tickets away to different fans every game. 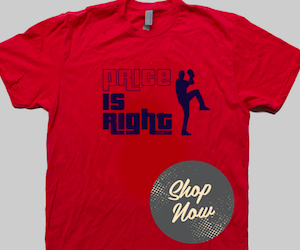 So many Sox fans never get the chance to go to a game at Fenway because of the price. Next, I would purchase the ability to play pickup baseball games at Fenway with my family and friends. That has to be doable if I have all this money. Playing baseball at Fenway? That's the dream!" "If I won the Powerball, the first thing I'd do would be to hire a team of scientists to figure out how to unfreeze and reanimate Ted Williams. Then I would buy out an entire section of season tickets so that I could really stretch out and enjoy the games, in a luxurious fashion. Whatever was left after that, I'd start a little league baseball organization for inner city and underprivileged kids and have their games at Fenway." So what would I do? I would not want to buy the Red Sox, I would rather have a nice beach house and live on an island, get a private jet, buy a box at Fenway, and never miss a game again! That's not asking too much is it? 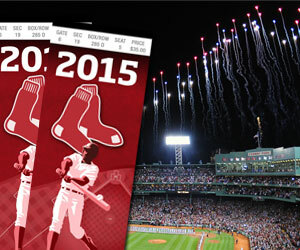 What would you do in relation to the Red Sox if you held the winning lottery ticket tonight?